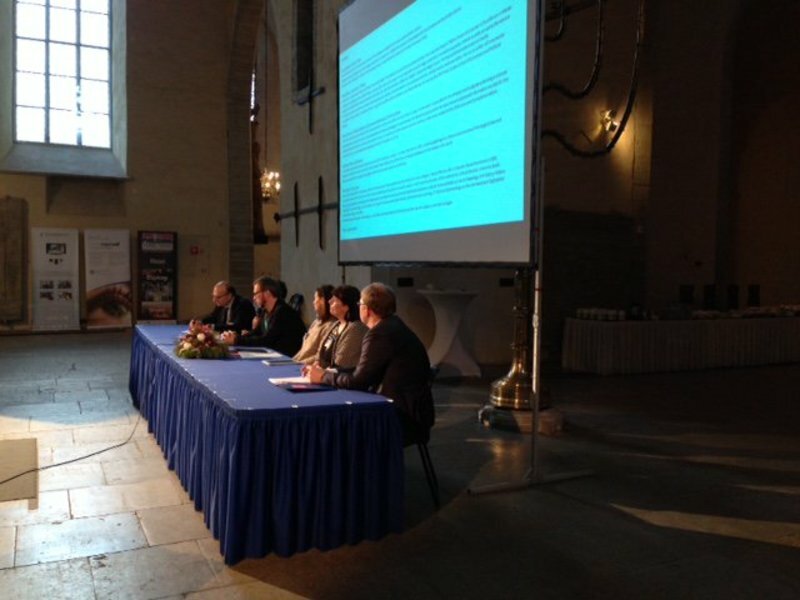 10 December: Round table on lessons learnt from Europeana Space Pilots and Hackathons. #1. The dichotomy between “open” and “protected” cultural data still exists, and is impacting on the creative reuse of the digital content. Europeana is making a big effort: from one side to properly label the published material, so that rights clearance is easier, and from the other side to promote the circulation of open content, freely re-usable. Despite recognizing the importance of being retrievable online, not all the content owners however accept the open approach, and the easiest solution from their point of view seems to be giving open access to low resolution material. Even if this approach can contribute to enhance the visibility of their content online, however, it does not foster actual and effective experimentation on creative reuse. In fact, too small thumbnails or material isn’t re-usable in creative applications, and the creative industries often do not have resources to negotiate content rights in advance. Also the pilots of E-Space are experiencing challenges and opportunities connected with the access and the creative re-use of digital cultural content. Which are the lessons learnt and how can the content owners be motivated to open high resolution materials for creative experimentations? To this regards, do you think that the concept of “Protected Space”, elaborated within the E-Space project, to allow a controlled access to high resolution content, can play a role of facilitator? #2. To develop a successful product, it is crucial that the prototype is designed with a user-center approach: in facts in Europeana Space Pilots the recommendation to involve potential users since the beginning of the development work was particularly stressed. Users should be involved in the analysis of the requirements, in the validation of the early prototype, on its evaluation in the advanced phases of development. However, the identification of the correct users and the definition of the work to be done together is rather challenging: how can we ensure that the selected user groups correspond to the actual final users of the product? How can we guarantee that the evaluation and validation phases of the prototype are endorsed by a sufficiently large user-base, which will properly represent the potential user community of the final product? How can we engage with the user-base in a more modern and effective way than the “classical” tools of questionnaires and workshops, which are normally in use but limited to a simplistic approach (the questions may not cover all the user’s impressions) or to a restricted number of participants (the workshops are too expensive to be replicated widely)? How can we motivate users to engage in this work? How the results of the work with the users should be reflected in the actual development? Chaired by Luigi Perissich (Confindustria Servizi Innovativi e Tecnologici – Italian technology Platform Future of Internet). Participants: Ruth Mac Partlin, Eva del Rey, Indrek Ibrus, Charlotte Waelde, Silver Tammik. #1. The Internet and digital technologies are rapidly transforming our world, the way we get to know, buy and use products and services. European creative and cultural sectors, if they want to succesfully compete globally, must rapidly embrace the digital revolution and open up to new digital opportunities for people and businesses. The manufacturing industry is moving towards the digital age via national initiatives like “Manufacturing 4.0 platform ” in Germany or “Catapult” in the UK; these initiatives, by analyzing on how digital changes the value chains and value creation activities of a companies, design and provide tools to support and speed up their transformation to a new fully digital entity. Should we also begin to reason about “cultural and creative industry 4.0″ and see how old and new can better combine to create a new and globally competitive industry? How policymaking could help this transition? #2. Service innovation and digital revolutions are trends that are crucial for the development of a strong European Cultural and creative industry. Our cultural heritage is one of the richest but besides its physical dimension, digital creates a whole new market that integrates, and sometimes substitutes, the physical one. What should be done in Europe to increase the rate of reuse of digital cultural contents to strengthen the European cultural and creative industry offer of digital services and contents? Is the private sectors sufficiently involved in this challange? ?